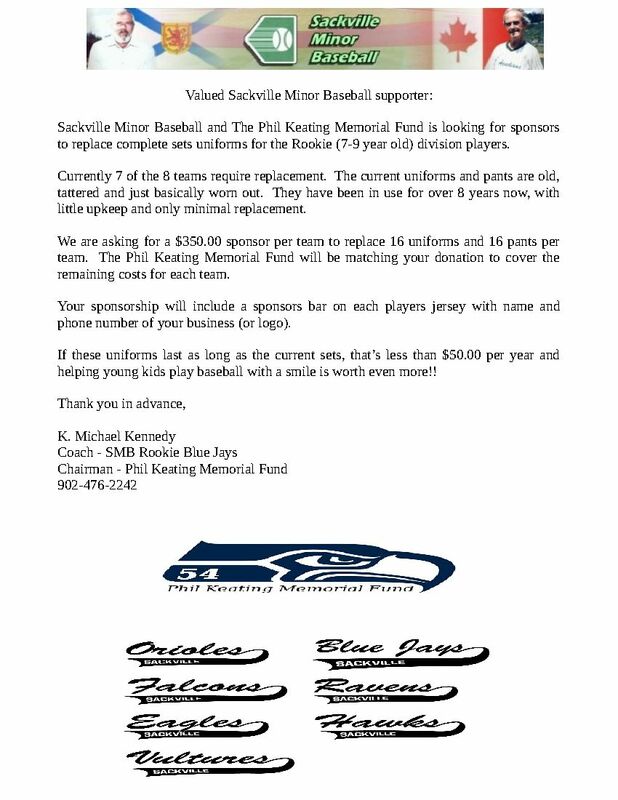 Sponsors Needed For Sackville Minor Baseball Uniforms: | Sack-Vegas!!!! Geez, http://www.sack-vegas.com would look good on a uni! Hahaha. Check out the poster below and if you have the means or know of any local biz, please share! Posted by Sacky on June 26, 2014 in Uncategorized. Within 5 minutes, 2 team sponsors from Arni Lively ay Lively Construction!! Great big thank you to both of you. Sackville Kinsman Club http://sackvillekinsmen.webs.com/ and Sackville Legion member Carol Long-MacDonald https://www.facebook.com/pages/Sackville-Legion/164291003632007 have finished off the sponsorships!! Thanks to Jeff, Sackvegas, SMB and everyone for the generous support! If anyone still wants to sponsor a team, we were going to replace the Rally Cap divison (4-6 year old) next year, but if anyone wants to step up now, we would be more than welcome to start the campain this year!! I would be interested in doing something for next years team, I was unable to do anything this year since I am still just getting new website and logo.